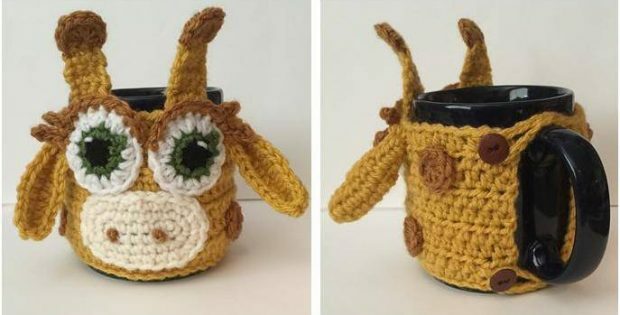 Have brighter mornings with this ultra cute giraffe crocheted mug cozy! It’s the perfect chum to start your day with. It makes for a totally thoughtful present for friends and family and for any occasion. In fact, this pattern is a great project for confident beginner crocheters to work on. They will definitely enjoy making this fun and rewarding crochet item. The pattern includes detailed written instructions for one size. As always, you can tweak the directions to make the crocheted cup cozy the size you desire. This crochet pattern is another lovely design by Katerina Cohee (Kitty’s Kreations Boutique). In fact, you can access the FREE downloadable pattern for this adorable crocheted cup cozy. Featured image: Katerina Cohee – thank you!